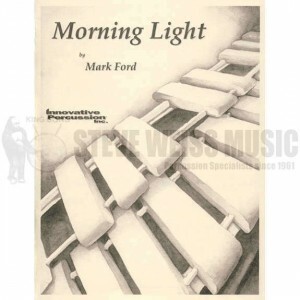 Morning Light by Mark Ford is a four mallet solo scored for 5 octave marimba. The title refers to opening your eyes in the morning and making your dreams become reality. I wrote this solo initially as an independent work. But now Morning Light is part of a series of lullabies for a children’s book by my wife and I. The book and music are dedicated to our beautiful daughter, Emily. Morning Light is a delicate love song dedicated to my wife Ewelina and her mother Lucyna Bernacka. It was first performed as an encore piece to the premier of Stubernic Fantasy on October 5th, 2012 in Opole, Poland.